Professionals today, whether scientists, engineers, entrepreneurs or managers, need to maximise their effectiveness. Hard work and motivation are not enough. Strategic thinking is needed to be able to choose the right problem to solve, to solve it in a cost-effective way, to use resources efficiently and to be innovative and productive. The combination of skill, motivation and the strategic use of effort can lead to astonishing levels of productivity. Real-world problems are complex and must be tackled with adequate conceptual tools. These tools are based on an understanding of the power of bottlenecks, paradox, scale and perspective constraints, and feedback as leverage points for getting to grips with the problem. 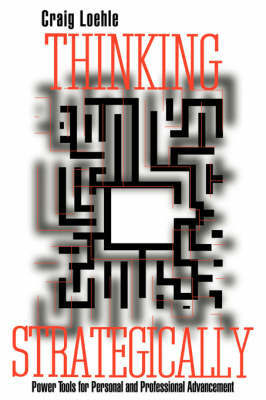 Thinking Strategically provides the necessary power tools for dissecting complex problems and for creating innovative solutions.